Welcome back to campus! Whether it’s your first time visiting the Undergraduate Library or you consider the UGL your second home, we’re glad to have you here. 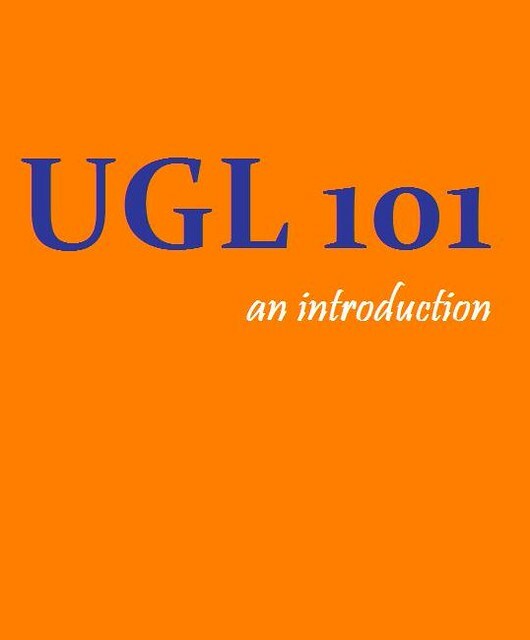 We know this is a busy time for students, so to help ease the stress of a new school year, we’re putting together some helpful UGL information to get you started on the right foot. The library will open back up at 8:00am on Tuesday, September 5, and the UGL’s regular 24 hour (Monday through Friday) schedule will resume. The UGL has a little something for everyone. 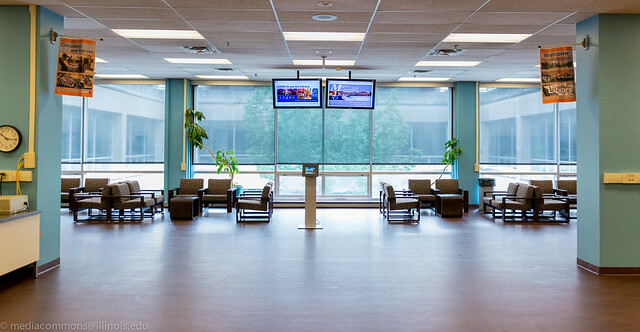 If you’re looking for a place to meet for a group project, need some help getting started with research, a space to play video games, or want to check out a GoPro to document your bike ride through campus, our Upper Level is the place to go. The Lower Level of the UGL is perfect for studying quietly, discovering a new graphic novel, or finding a video game or television series to check out. 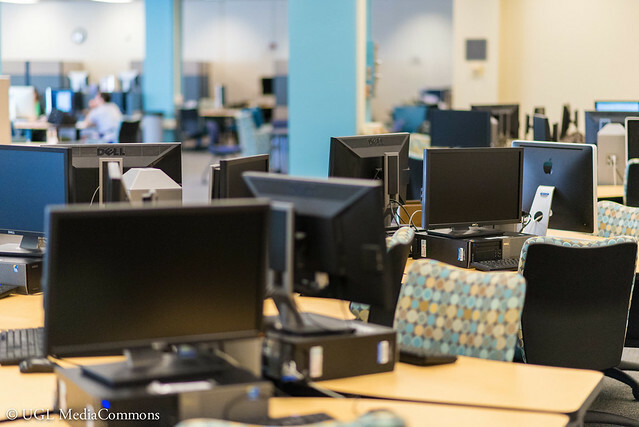 The Media Commons, located on the north and east side of the upper level of the Undergraduate Library, provides students with the opportunity to experiment with emerging technologies. The Media Commons offers students a chance to create and use digital media. With an audio booth, green screen room, editing software, and loanable technology at your fingertips, you’ll be able to create nearly anything. What’s your favorite part of the UGL? Tweet at us at @askundergrad and let us know! This entry was posted in UGL News and tagged #clubugl, hours, research, resources, services, ugl101 by JMS. Bookmark the permalink.